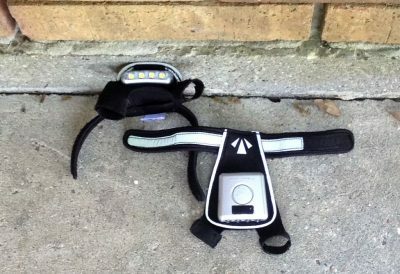 I have used the RunLites Sling II over the past couple months while walking and running on the Mississippi River Levy in New Orleans and while night hiking on the trails of Buccaneer State Park on the Mississippi Gulf Coast. The lights have provided ample light for walking at night, are comfortable to wear and seem to have a pretty decent run time. Read on for my full update. This entry was posted in Reviews and tagged 4alloutdoors.org, backpacking, Jason B, marathon, night hiking, night running, RunLites, RunLites Sling II, trail running. Bookmark the permalink.